Sitting here watching the World Series got me to thinking about what cards from these two teams I used to own at one time. After some looking, I didn’t see much Phillies stuff so I figured I’d drop in a few Rays cards that I had at one time. Obviously I’m feeling like a moron for selling the Longoria Bowman Sterling autographed card. And yes, it was the refractor version. But before you call me an idtiot, I had it sent to BGS and it came back as an “8”. I was very disappointed in that and decided to cut my losses with it. 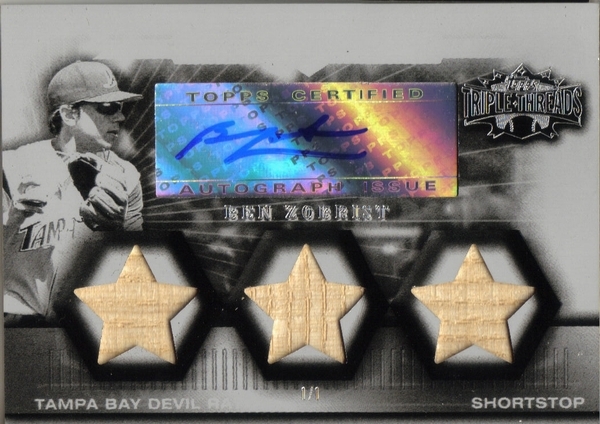 The other card from that set that I kinda wish I had back was the Ben Zobrist White Whale 1/1 from the 2007 Triple Threads. No, I’m not on crack. Zobrist is a local kid and now I wish I would have kept it. 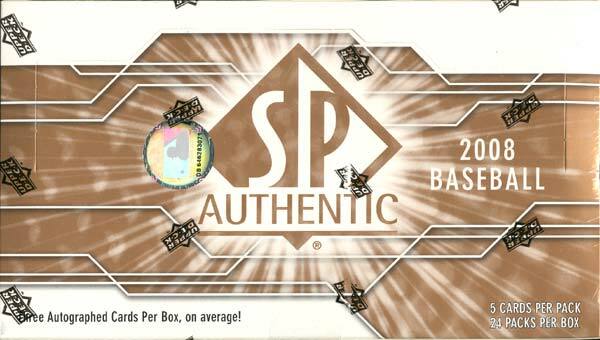 Another baseball season brings us another edition of Upper Deck’s SP Authentic Baseball. This year Upper Deck decided to ship their product during the playoffs instead of after the playoffs to build off a successful baseball season and take advantage of all the post season hype. UD touts 3 autographs per box (1 By the Letter, 1 Rookie auto, and 1 other). Personally, I’m not a big set builder so you’re not going to see my talk about base cards in my reviews. Let’s talk about the good stuff. By the Letter – The By the Letter cards return yet again this year in SP. 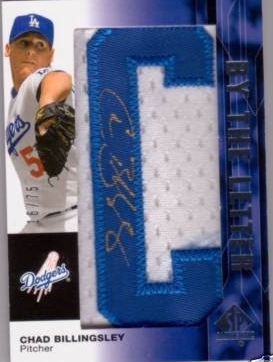 If you’re not familiar with the BTL cards, they are manufactured patch cards that are signed by the players. When these letters were originally intorduced in 2006 they just spelled the player’s last name. Starting last year, UD decided to add in new letter combinations to spell things like “Rookie” or the team name and city. It appears that they continued with that this year as you can see from the Chad Billingsley card to the right. It appears that this year you can chance down your favorite player’s first name as well. The checklist for the BTL cards features many new subjects but sadly also features players who have been done before. 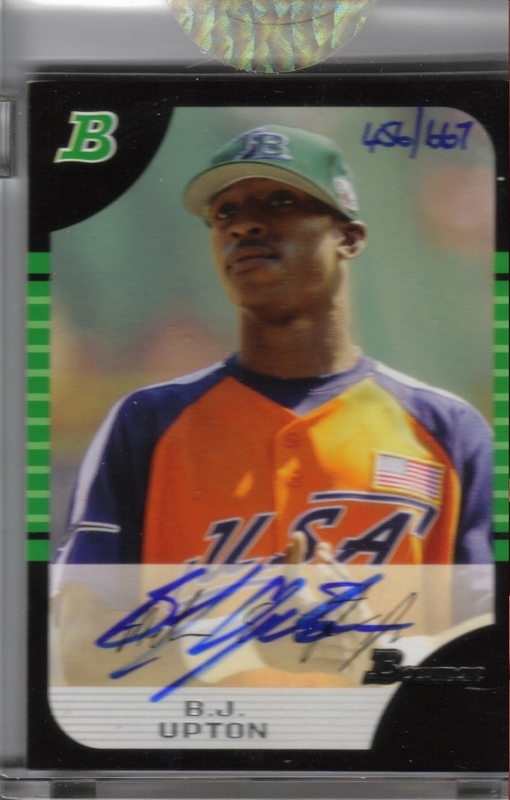 Rookie Autographs – This year UD included rookie autograph cards. When I first heard this, I thought it was a good idea. Who wouldn’t like serial numbered rookie autograph cards? Then, I got a look at them. Yikes! Talk about stupid card design….look at that travesty to the left!! 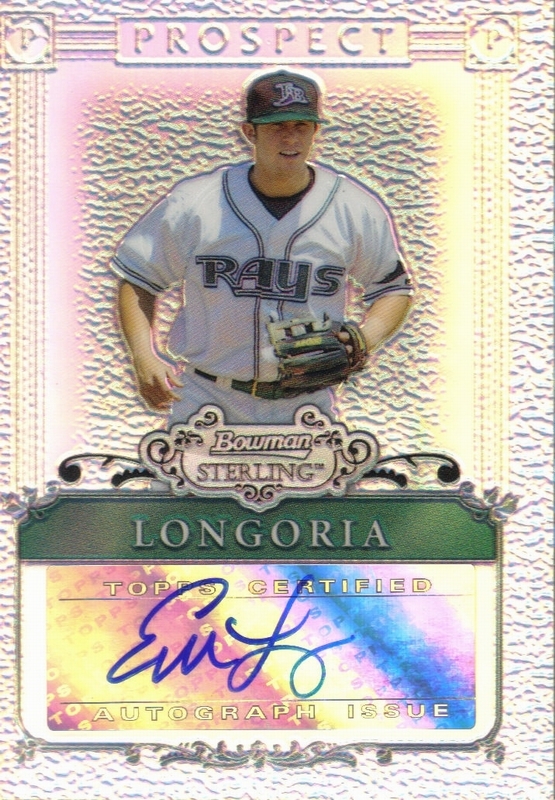 There isn’t a hotter rookie out there than Evan Longoria, but would you actually want that card? The stupid window cuts off parts of the signature. And Longoria isn’t the only player who has his signature cut. If you scan all the cards out there now, this is very common. In addition to the regular rookie autograph card, there are Rookie autograph jersey and patch cards. Unfortunately, these cards feature the same window for the autographs and you run the same risk of the signature being cut off. 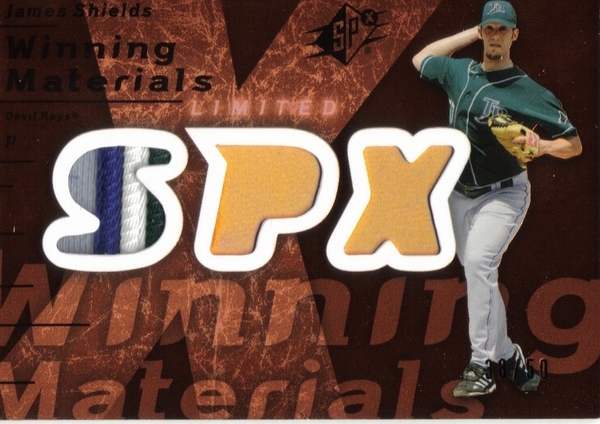 Most of the jersey cards are your plain single color swatches with the occasional pinstripe. 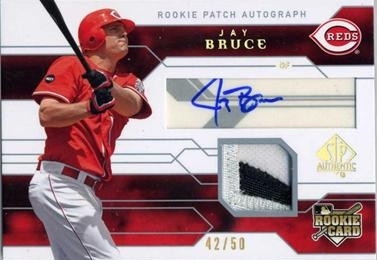 The patches I’ve seen so far have been pretty good (the Bruce card to the right notwithstanding) and feature multiple colors. My only gripe is that the windows are small and don’t give them a chance to show off some of the patch pieces. Best Hits? – If you’re breaking this product, there are a lot of “hit” cards that you will pull that won’t bring much on the secondary market. For the rookies, your biggest hits are going to be Evan Longoria, Jay Bruce, Kosuke Fukudome, and Joey Votto. On the BTL side, players like Billy Wagner, Jim Thome, Daisuke Matsuzaka, Alfonso Soriano, and Ching-Ming Wang are ridiculously short printed. Overall Opinion – To me, I would avoid breaking this product by the box or case. I just don’t see the value there from the cards that are pulled. The BTL cards have lost their luster and people don’t chase them like they used to. Even some of the BTL cards from the 2006 and 2007 series can be had for very cheap. It’s time to retire this idea. The rookie autograph checklist is lame. Other than the ones I mentioned above, many of the others have next to no hobby value at all. Where’s Clayton Kershaw? I don’t see him on Upper Deck’s checklist at all. The addition of the USA Under-18 team autographs are nice but I don’t know how valuable they will end up being. I give this a DON’T BREAK / JUST BUY SINGLES grade.